Airspeed at full operating power. Effective frost protection for all crops! 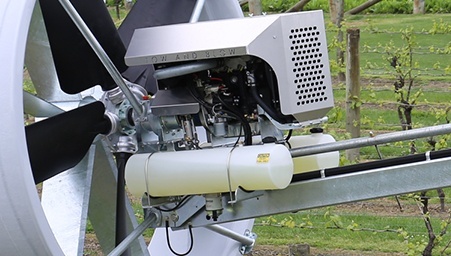 The Tow & Blow is a world first in providing reliable frost protection for all plants and in a variety of environments and freezing temperatures. 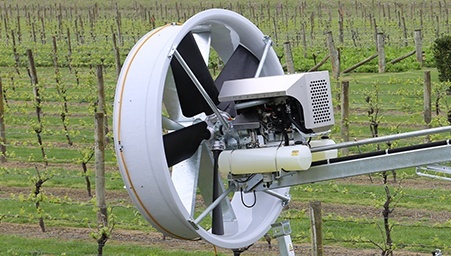 The shrouded impeller ensures efficiency in protecting frost prone crops, despite the landscape. 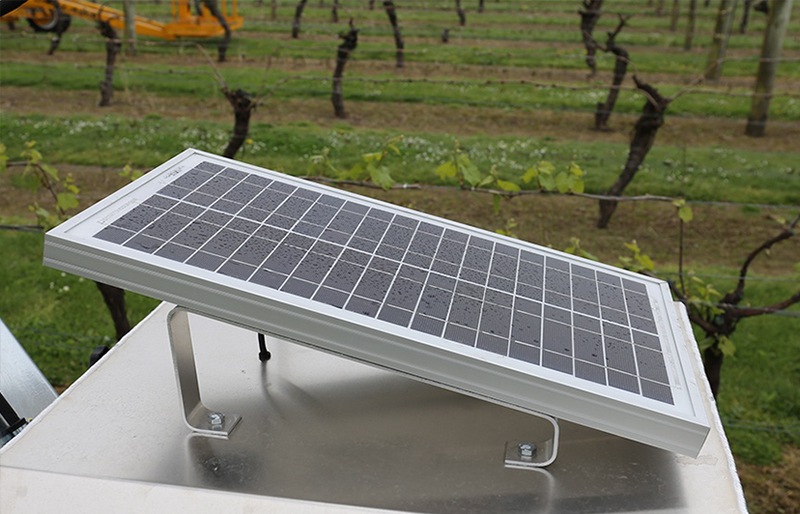 The oscillating fan ensures protection of freezing plants and vines in a greater area. 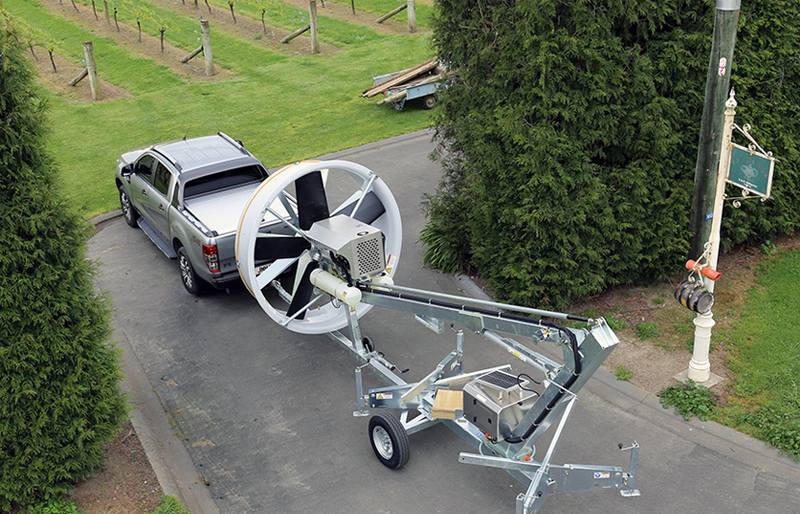 The portability of the wind machine allows easy movement in targeting frost prone trees and specific growing areas. 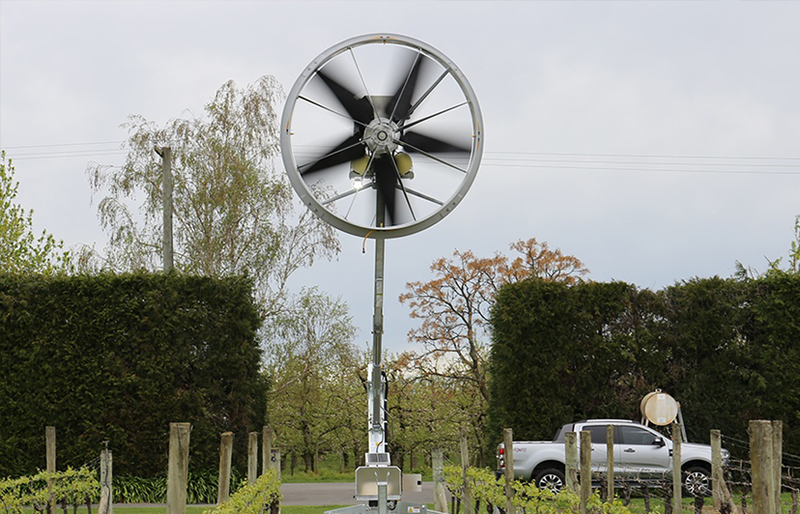 And the affordability of this wind machine makes it a frost fan for protecting frost prone crops that can service smaller horticultural crop growers as well as the bigger players. 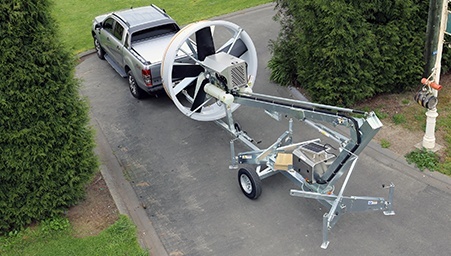 Connect to your vehicle and tow the machine from block to block. Effective & affordable solution to fighting sub zero cold weather events. Easy set up, easy positioning, easy start, easy maintenance. 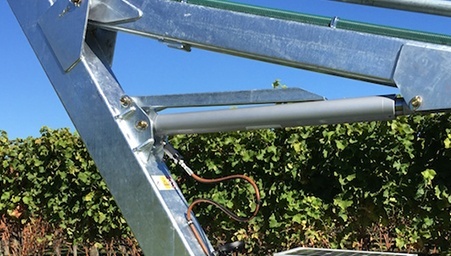 Electric boom controls for lift & lower with additional solar power backup system. Extra assurance the machine is ready to go at all times. 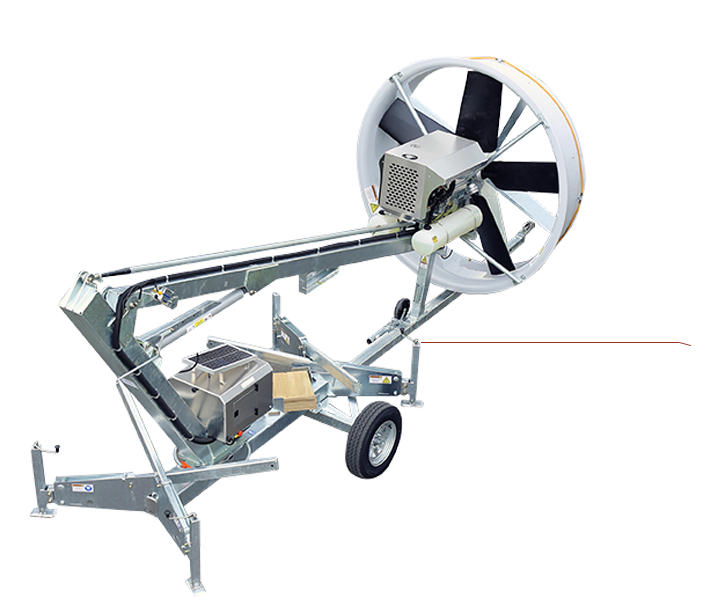 24 hp three cylinder diesel engine delivers direct drive to the fan eliminating lost power through drive shafts. Auto start functionality enables temperature triggered power start up and shut down. 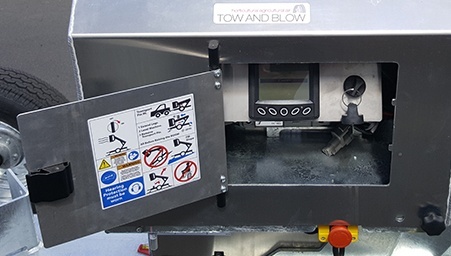 Both the fan and tower oscillation of the machine start operating once the preset low temperature is detected and automatically shuts down once the upper temperature setting is reached. The Tow and Blow is easy to transport. Once in position the stabiliser legs are lowered and the machine set level for operation. The tower has three height positions to enable operation at lower levels if required. Suitable for valleys and hills. 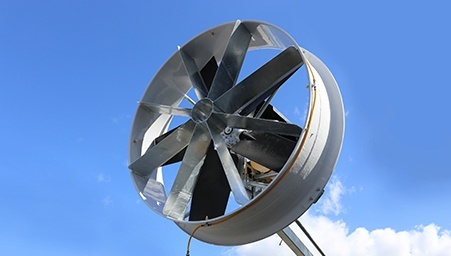 Unique five bladed fan manufactured from glass reinforced polyamide. Performance tested to recognised world standards. Aerodynamically designed shroud maximises the air flow capacity. This effectively turbo charges the thrust of the air like a jet engine.